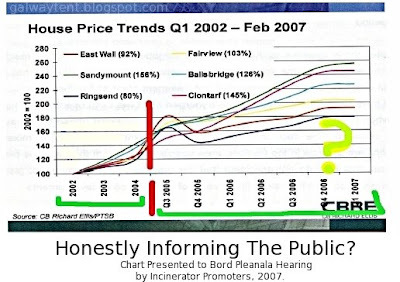 The promoters of the Poolbeg Incinerator appear to use the Big Lie Technique in public communications, either accidentally or otherwise. This property chart is just one relatively simple example. This chart either accidentally, or otherwise, breaks established guidelines for the visual presentation of information. Whilst not necessarily designed to be so, the chart is a classic piece of misinformation. This would tend to make the chart consistent with the Big Lie Technique. 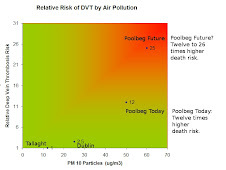 Having spent €19,000,000 on a team of experts it is reasonable to expect the promoters of the Poolbeg Incinerator checked their contractor’s work and actively approved the chart. Thus any possible claims or excuses of honest mistakes are not really credible. If the promoters are not credible on a relatively simple piece of information how can they be trusted to have fully & professionally evaluated Incineration? How can they be trusted to run a dangerously complex incinerator? Any mistakes when running the incinerator will damage people’s health and shorten each life in the city by months to years. Misleading: The mixed-up time units on the X axis are unannounced and incredibly misleading. (The red and green lines have been added here in order to highlight the distortion). Withheld/Omitted: Raw data is not proactively provided in the report, nor in any supplements, a minimal professional expectation. Withheld/Omitted (2007): Data is withheld – even after requests. Raw data for the chart is not available, despite repeated requests in 2007. Withheld/Omitted (2008): No raw data was provided in 2008, despite promises made in December 2008. The potential excuse that the data is proprietary no longer applies. Withheld/Omitted: The US Census covering a population of 300,000,000 drew directly opposite conclusions to those of the incinerator promoters. This is omitted. If the data does not actually exist and can not be provided is the chart actually a lie? If the chart is consistent with the Big Lie Technique can the public trust the promoters? Is trusting the promoters a bigger risk than trusting Anglo-Irish Bank? 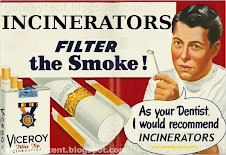 The incinerator directly threatens people’s health.